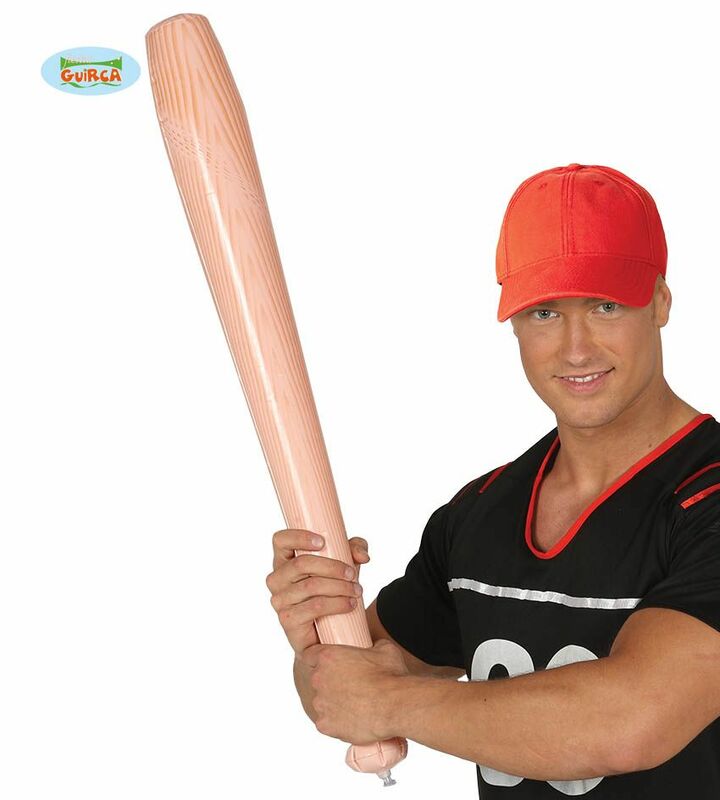 1x Inflatable Baseball Bat, novelty accessory made from plastics. Blow-up this bat and impress your friends with its large 72cm length! Use it as an accessory for your Baseball player or Neeegan Walking Dead fame fancy dress themed outfit. Whatever you do with it, you can let the air back out and fold it flat so its ideal for packing away shoukd you need to.